Who was Jesus? A prophet? There have been many of those. A miracle-worker? A radical revolutionary? A wise teacher? There have been many of these, too. In his latest book, renowned Scripture scholar Gerhard Lohfink asks, What is unique about Jesus of Nazareth, and what did he really want? Lohfink engages the perceptions of the first witnesses of his life and ministry and those who handed on their testimony. His approach is altogether historical and critical, but he agrees with Karl Barth's statement that "historical criticism has to be more critical." Lohfink takes seriously the fact that Jesus was a Jew and lived entirely in and out of Israel's faith experiences but at the same time brought those experiences to their goal and fulfillment. The result is a convincing and profound picture of Jesus. Gerhard Lohfink was professor of New Testament exegesis at the University of Tübingen. Since 1986, he has lived and worked as a theologian for the Catholic Integrated Community. His many books include Does God Need the Church? (Liturgical Press, 1999). Gerhard Lohfink masterfully fuses historical-critical and theological exegesis to both apologetic and catechetical ends. . . . This important book raises anew the complex fundamental-theological issue of the relationships among faith, belief, and historical reason. Without wholly endorsing Lohfink's position, one may find bracing the challenge he offers to several truisms of contemporary historical exegesis. Further, he teases out the intertextuality among the Old Testament, Jesus, and the New Testament with dazzling finesse. His construction of the eschatological community intended by Jesus invites ecclesiological discussion. Most significantly, he rebuffs supersessionism with a portrait of Jesus as an authoritative and critical interpreter of Torah. Finally, his sensitivity to the theology of the Evangelists provides a resource for Christian spirituality. This is a book worth engaging. Crisp and very readable prose. . . .Lohfink has fresh things to say about Jesus' teaching through parables, about his sayings about judgment and, especially, about understanding Jesus' miracles. . . . Having read and studied, Jesus of Nazareth (and squirreled it away as a rich resource for future preaching and having been truly moved spiritually by it), I can agree with Daniel Harrington, S.J. 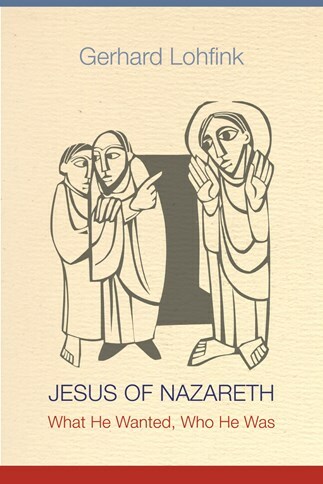 [author of Jesus: A Historical Portrait]: "Lohfink's Jesus of Nazareth is the best Jesus book I know." Grounded in the most careful study of the historical Jesus and enlivened by a deep faith in the Risen Christ, this book will be of inestimable use to everyone from scholars to seekers and will most likely become a classic. It is that rarest of books on Jesus in which the author combines solid exegetical work with a profound sense of the spiritual. On top of that, it's beautifully written (and here, translated). Lohfink's book is in every way a joy. Some have said that this book will become a classic. Indeed, it should be so considered. But much will depend on whether or not scholars will dismiss it as lacking uniqueness and innovation, and whether or not non-professionals will invest the energy in reading a scholarly treatment of Jesus. May both groups stretch themselves and give it the attention it so richly deserves! The reader closes this book struck by the Spirit in whom this Jesus keeps working on the -- some would say -- now shrinking, endangered community he left behind. . . .There still may be hope. Lohfink's Jesus of Nazareth is the best Jesus book I know. It is solidly based on sound biblical scholarship, full of fresh theological insights, respectful of the Gospels and their portraits of Jesus, and beautifully expressed. It is especially effective in highlighting the centrality of God's reign and Israel as God's people in Jesus' life and work. The thread connecting what Jesus wanted, who he was, is the reign of God. Lohfink is concerned with this new thing that came into the world with [Jesus]. The consistency between this reign of God and the revelation of who Jesus is, is the chief message and controlling method of this book. The importance of another book on Christ and on Jesus in the New Testament in particular cannot be ignored or underestimated. . . . Lohfink gives the lie to any separation of what Jesus wanted from who he was. Ultimately, Christology consists in clarifying his relationship to God and humanity. Lohfink's portrait of Jesus is very much worth reading. Because he looks to the Gospels with a sympathetic yet critical eye, he gives a faithful interpretation of Jesus. And because he is faithful, Lohfink offers a portrait that is challenging-especially for the church today. This reviewer has read many books on the historical Jesus, but this one is the best. Why? Lohfink states, "The Jesus tradition is grounded in the interpretive community that is "church."